Recently a few people have left comments on how they enjoyed the blog – thank you for saying so, I’ll try to remain interesting and informative, and sometimes wax philosophical – was that one of the things you all enjoyed? 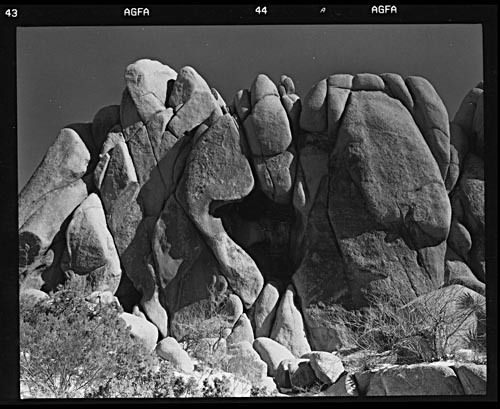 This first post is an overview, and a quick look at the most salient feature, the rocks. I first visited, just ‘passed thru’ actually, on my way to Texas from SF in 1996, at the suggestion of a friend. 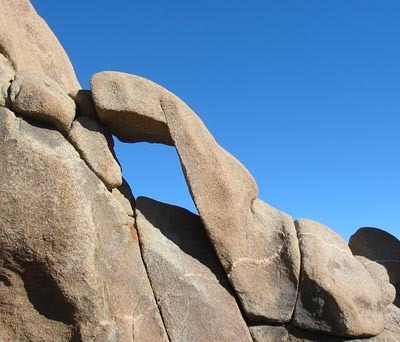 I had been enthralled w/ the California coast, didn’t consider the desert that interesting. Well all that changed in less than an hour – how can you not be amazed by landscapes like this? 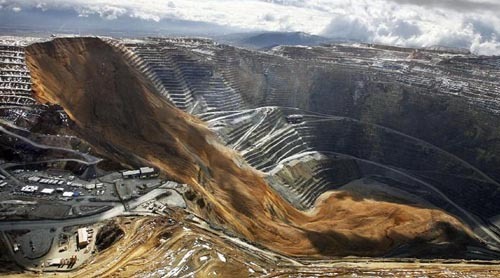 The answer comes from things I’ve read about geology, and the waxing and waning of ice ages. As a monster sheet of ice recedes there are inevitable areas where vast quantities of meltwater collects, but eventually the ice walls containing it give way, and it’s like a tsunami on land. Have you ever seen video of a flash flood in the desert? Here’s one video by a guy who calls himself a flash flood chaser. People chase storms and tornadoes, so why not floods? So amplify this by thousands of times, and that’s what has shaped this landscape, vast quantities of water, moving fast, nothing will stop it. Your tax dollars are at work, the nps site is excellent. This sort of corrects/expands on my theory – the most recent major force being WATER! Best time of year to visit? Winter! You won’t fry, the light is much better for photography. I’ve never had trouble getting a motel room somewhere nearby. Always give the Mexican restaurants a try first, I’ve never gone wrong by them. 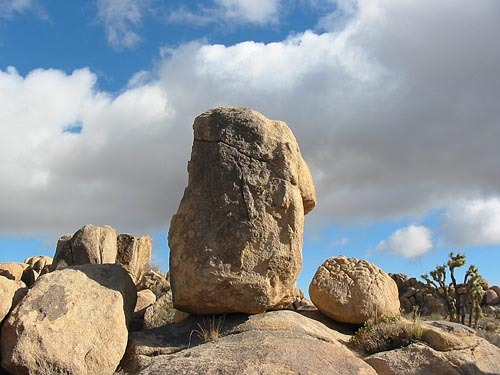 The best entry point to the park is in the northwest corner, there are two areas that have the most dramatic rock-scapes are at Hidden Valley, and Jumbo Rocks. 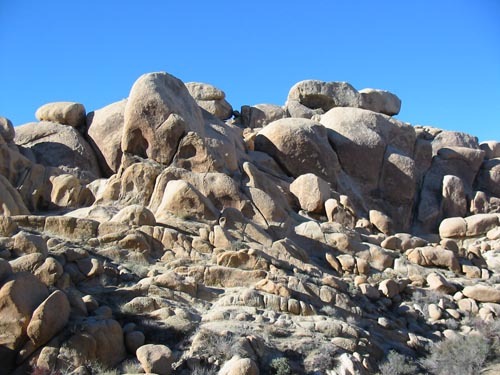 Two easy walks to interesting spots are to Barker Dam, and to The ruins of the Wall Street Mill, built by W.F. Keys an early settler who thought he was going to get rich, which didn’t happen. A spectacular view from 5100ft is named after him, also memorialized is the spot where he killed a man. He left a lot of broken down cars too. 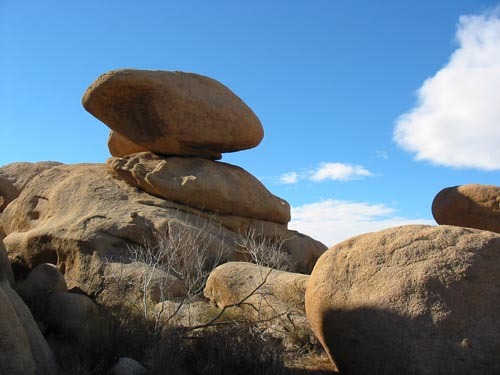 There are actually 2 kinds of desert here, the Colorado, below 3000ft, occupies the east part of the park, The Mojave is on the west side, higher elevation, moister, cooler. 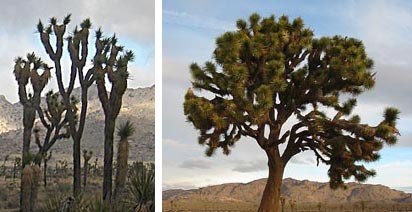 And Joshua trees come in 2 flavors also, one kind grows tall, doesn’t branch off very quickly, the other kind looks fatter, branches off much sooner. The desert looks harsh, and monotonous, but it is a place to let your soul go free, the mind to wander, and when you look closely, to see how full of life the place is.